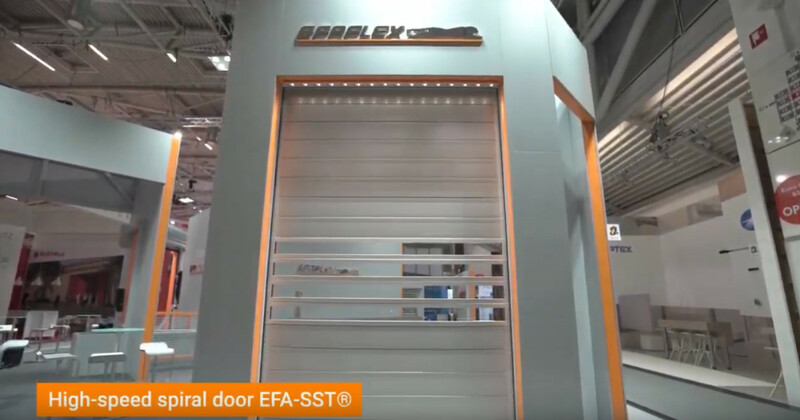 Could your business benefit from the Efaflex EFA – SST High-Speed Door? The EFA-SST® with thermal EFA-THERM® insulation laths as standard to help reduce energy costs by up to 50%. Exceptional insulation of up to 1.52W/m2K. Robust, durable, and available with EFA-CLEAR® transparent laths to improve user visibility and safety. See for yourself! Efalex are exhibiting once again at the Made in the Midlands Exhibition on Thursday 20th June at the Ricoh Arena. Visit Efaflex on stand H07 to learn how the high speed door could benefit your business.